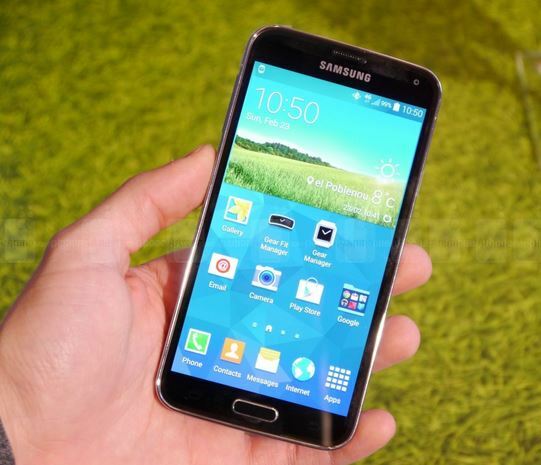 This latest Galaxy S5 update has been rolled out for the international version of the flagship, model number SM-G900F. This update has successfully improved the overall accuracy and experience on the Samsung Galaxy S5. The update, titled as G900fXXU1ANE2 improves fingerprint sensor and also brings some enhancements to the camera and gallery apps’ interface. These improvements have resulted in quite an impressive photo taking experience with camera and gallery apps responding much faster now [Read: Powered by the Amazing ISOCELL Sensor, Samsung Galaxy S5 Camera Explained]. The latest Galaxy S5 update G900FXXU1ANE2 Android 4.4.2 also contains the usual improvements and bug fixes to further refine the performance. This update has started rolling out over the air; you can also update your international Galaxy S5 to this latest Galaxy S5 update via Samsung KIES. However, if you have not yet got the update notification and have your device rooted, here is the guide to help you manually update your smartphone to the latest XXU1ANE2 update. Let us know if you too experienced improved performance after updating to this latest software update rolled out by Samsung.